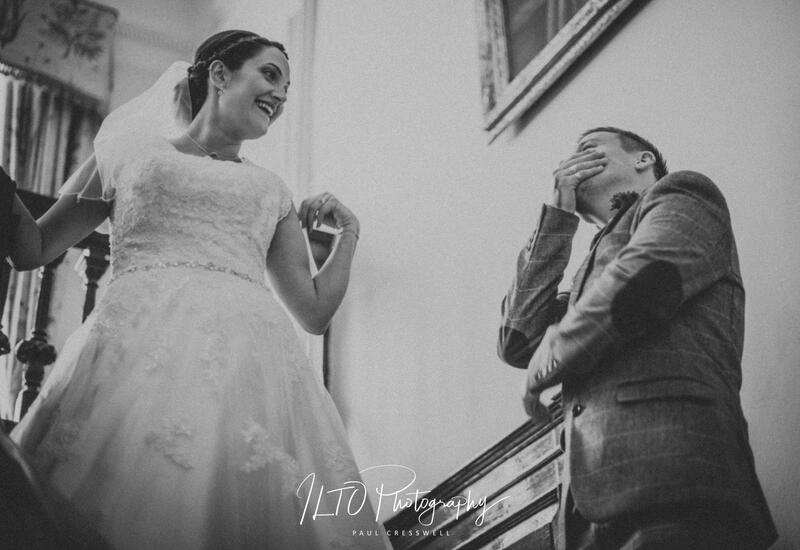 York Wedding Photography – where do I start? We meet great couples all over the country obviously. However, when it’s close to home, it’s great; I could spend all day explaining why Jo & Kaylem are in a league of their own. But I won’t. Some stories aren’t for sharing. However, I will say that in meeting these 2, not to mention the 3 boys that make up the family (and one little lady too now, since this was originally written! ), I have found truly inspirational people, that smile no matter what is thrown at them. I’m so proud that I can now call them friends for life. But enough of this heart pouring from me. Let’s talk about the day itself eh! I rocked up at the farm nice and early, and had my first brew of the day. Pictures of the bridal hair, the wedding wellies and lizards all done (this is not predictive text going mad by the way), I was soon showing Kaylem the right way to put cufflinks in, and how to do a proper tie knot! A steady flow of guests and family joined us over the morning. The excitement started to build. Tweed suits and red ties straightened. Wellies on. Off to Middlethorpe Hall! The venue is an impressive National Trust owned estate, just outside York. Guests all gathered in a sumptuous drawing room. Before long, they were ushered down a leaf lined lane for the ceremony. Wedding car on the horizon, I got ready and captured the shots quickly. Jo had been stuck in traffic for over 20 minutes, so we needed to crack on! Bish bash bosh, and we’re all strolling around the expansive gardens. As every guest wore wellies, we did some fun stuff with that of course. Then once the formals were over, we crept off to get some shots just of the happy couple on their own.